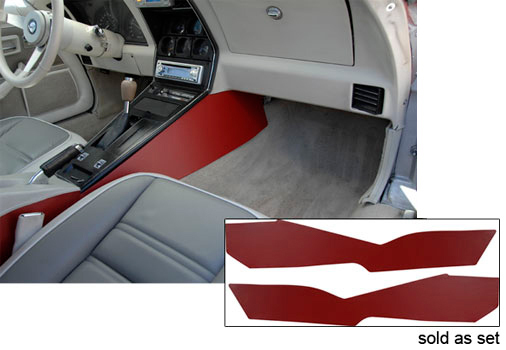 If your Corvette has suffered deterioration on the side of the console, replace it with the C3 Corvette 1978-1982 Premium Leather Side Trim Panels from Corvette Mods. These durable pieces will match your Corvette seat covers exactly. 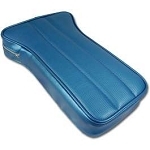 The panels are composed of the same premium quality automotive grade leather. It has the same shape and pattern as the original factory side trim panels, making them a high quality replacement. With so many different color options to choose from, you can keep the Corvette Premium Leather Side Trim Panels the exact same as your Corvette's interior, or mix it up with that little pop of color, providing a unique and beautiful addition to its appearance. Please use the drop down menu above to make your color selection.